Dar Lighting Beau touch table lamp in a satin chrome finish features white knife pleated shade. 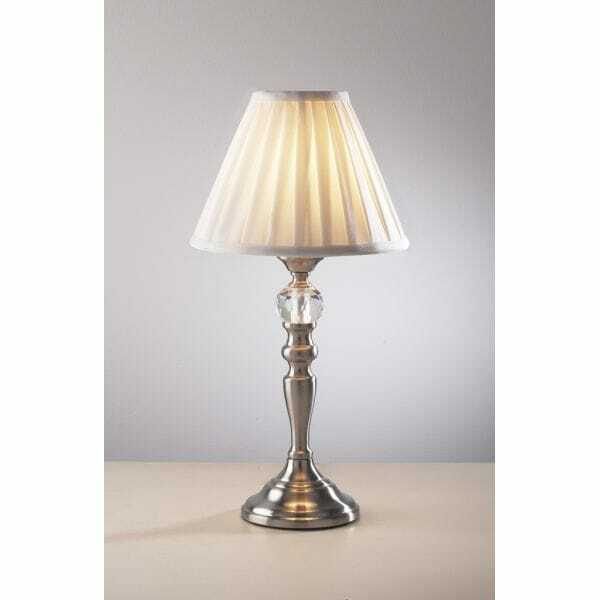 The product code for this Dar table lamp is BEA4046. For an alternative look an antique brass version is available which also has a white shade.